Hawaii’s active hurricane season shows no signs of slowing down. With hurricane preparation on many people’s minds, it may be time to ask yourself whether you have a plan for your furry friends. Photo courtesy of Hawaiian Humane Society. 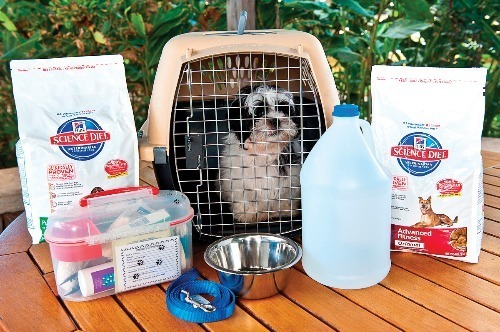 The Hawaiian Humane Society encourages all pet owners to be prepared in case of a natural disaster. The organization has a list of Oahu pet-friendly emergency shelters on its website. All pet owners should check the list and requirements prior to going to a shelter. The Hawaiian Humane Society asks that you please don’t bring your pets to them during an emergency because its first responders will be deployed to emergency shelters to assist with your pets there. You can download the Hawaiian Humane Society’s disaster preparedness brochure here. There’s also a new emergency service called Smart911. The online database, which is run by Rave Mobile Safety, allows users to input personal information of their choice. The information is used by first responders in the event of an emergency call. 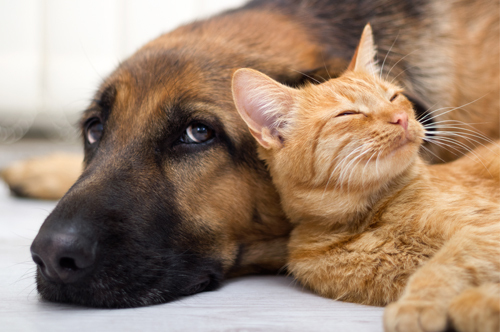 Pet owners can include pet information in their profiles so that responders will know how many animals should be accounted for in an emergency.